The choice of the service industries. Read more below…. 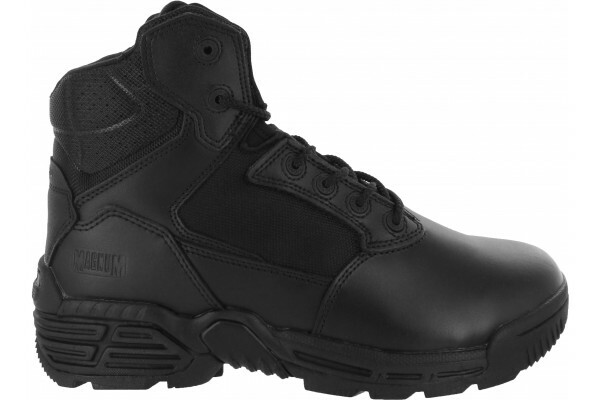 The Magnum Stealth Force 6.0 Leather with Composite Toe and Composite Plate is a 6 inch water resistant, certified safety boot which sits just under the ankle. 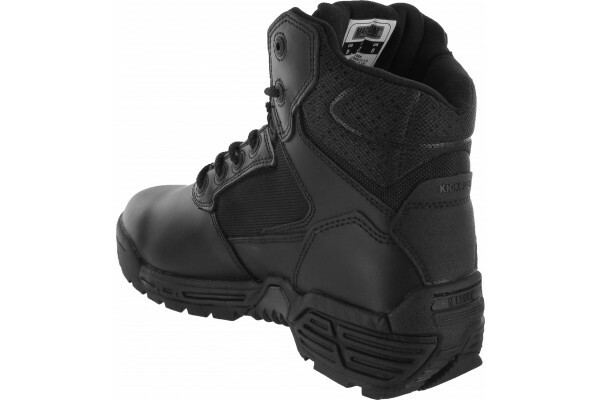 This breathable boot has a durable full grain leather upper and lightweight composite hardware. The composite plastic toe can and penetration resistant sole plate is as strong as steel but is scanner safe and much more lightweight. 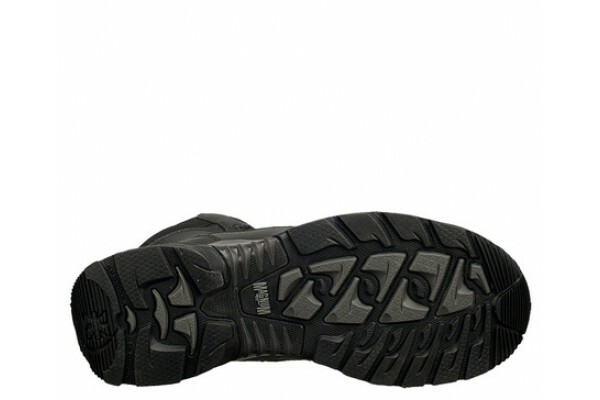 The high traction durable carbon rubber outsole with X-Traction and ladder grips is SRC slip resistant, anti-static, acid & alkali resistant, and insulated against hot & cold. Cambrelle® lining with Agion® antibacterial treatment wicks moisture away from the foot and prevents odours and adds comfort along with the padded foam collar and padded foam ¾ bellows tongue. In addition, an M-P.A.C.T contoured insole with memory foam offers underfoot cushioning for further comfort and support. 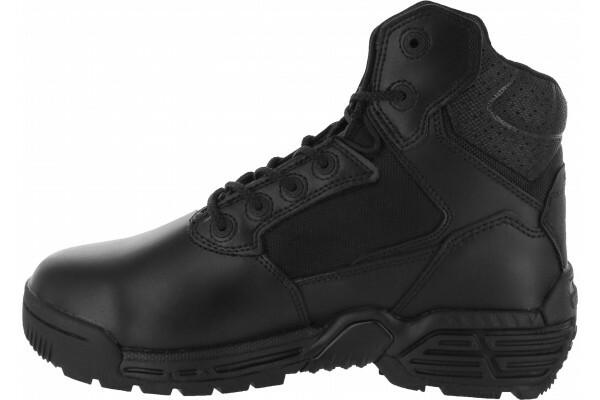 Tested and certified to European Standard EN 20345 for safety footwear with SRC slip resistance. 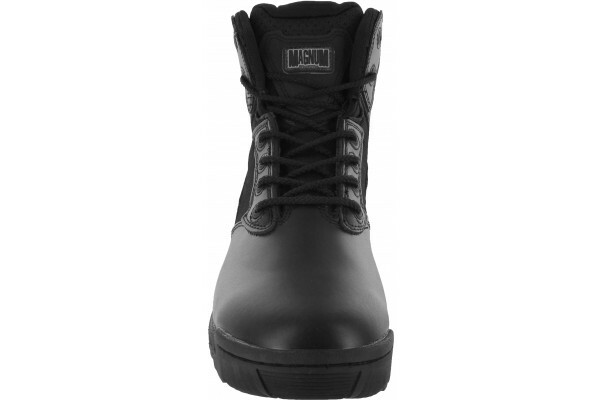 These boots are ideal for industrial workers, emergency medical services and fire and rescue service personnel.